A man and his son were, this morning, killed in a fire incident that started from an air conditioner in a shop attached to their building along Awolowo way, Ikeja, Lagos. According to reports, a salesperson had forgotten to switch off the A.C, the previous night, and it caught fire when electric power was restored, burning the entire shop. The smoke from the fire was said to have choked the deceased and his son. Their were later evacuated by the Lagos State Emergency Management Agency (LASEMA). 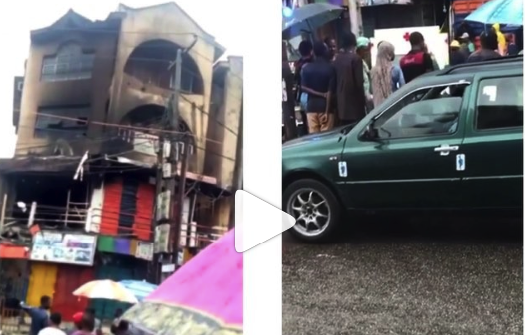 Fire started from AC kills father, son die in Ikeja . . A man and his son were, this morning, killed in a fire incident that started from an air conditioner in a shop attached to their building along Awolowo way, Ikeja, Lagos. . . According to reports, a salesperson had forgotten to switch off the A.C, the previous night, and it caught fire when electric power was restored, burning the entire shop. . . The smoke from the fire was said to have choked the deceased and his son. Their were later evacuated by the Lagos State Emergency Management Agency (LASEMA).